Now that spring has sprung many people are anxious to get outside to start on their landscape projects. However, for many the mere thought of doing landscaping can lead to sleepless nights and visions of empty bank accounts. Over the years I have worked with many clients who have fallen into this category, they want to bring their yard to life but they are worried about the costs associated with undertaking the project. In many cases they are first time homeowners who have never landscaped before and have heard stories from friends and family of how much their backyard retreats have cost. They also may have simply wandered into a garden centre only to have been overwhelmed by names and price tags. On top of that, many folks today are both budget conscious and “green” conscious and want to bring both of these items to the table when beautifying their property. As a landscape designer the first thing I ask my clients is about their budget – right away you need to know how much you want to spend on the project initially and long-term. Let me explain, when you undertake a landscape project it is important to know how much money you want to spend on the project when you are done putting everything in the ground (no pun intended). Now for some people they plan to approach the project over a number of years and plan to allot “x” number of dollars per year. Other people may prefer to approach the project as a “one time shot”. Either way, write those numbers down. That is your initial budget. If you have never gardened before you are going to need some tools – this can be a significant investment and worth buying the right tools the first time rather than replacing them year after year. Budget for these as well. Do you plan to plant annuals in your garden each year? Yes – that’s going to cost money each year so you need to budget for that. Do you want to use city water to irrigate the gardens? If so, that will impact your water bill so you will want to take that into account and if you don’t plan to water or want to reply on rain barrels you will want to consider plant materials that are more drought tolerant or native. Do you plan to use decorative mulch in your beds? If so, this will need to be topped up every year or so to keep it looking fresh and to maintain its garden friendly properties. You will also want to budget for regular maintenance costs such as fertilizers, etc. Once you have developed your budget, I suggest drawing up a list of “needs” and “wants“. This is important because a lot of people get the two confused, especially when planning something as exciting as a new entertaining space and it is easy to blow through your budget with things you “want” while forgetting the things you “need”. Sure you might “want” that nice fountain but you really “need” a patio to accommodate your extended family on long weekend Backyard BBQ party. It’s also important to determine what area of your property you want to landscape first – is your front yard the area that is most important to you (it may be if you are planning to sell in the near future or if the entrance is a safety hazard), or is the backyard the most important because it will be your “staycation” spot for summer weekends? Involve the entire family during this process, it can be a lot of fun coming up with ideas and searching out photos! During this phase one of the biggest things I advise people to do, and not just because it is what I do but because I believe in it for any kind of project you might do, is to seek professional advice. By searching out the advice of a professional you are likely going to save yourself money. I know this might sound backwards, spending money to save money? Listen to this – by spending the money to have a consultation or have a plan done by a professional who knows what plants will do best in a certain area (ie: in that dark, dry shady corner or beside the driveway where you pile your snow) or how to best design a patio around your windows and doors will ultimately save you both the time and the hassle of trial and error. I have met people who have spent thousands of dollars on plant material only have it fail time and time again because they had planted it in the wrong space. A quick 1-1/2 consultation could have saved them some of that money and let them spend it on something else. Landscaping is a great asset to your home and in many cases will retain its resale value more than a bathroom or kitchen renovation. Curb appeal is a big factor for a lot of people when they are looking at homes, so many people can’t see the potential of a home when the pull up and see nothing. Do you ever reading the listings for houses for sale? Notice they always mention the landscaping? It’s an important selling feature! The project below is a simple front yard renovation that was completed in one day for a client. The clients had a budget that they wanted to stick to. By telling me their budget and meeting with me to discuss what they wanted to accomplish (give the house curb appeal without having to add annuals each year, wanted year round interest and some “feature” plants) I was able to take their budget and make it work for them – infact we came in UNDER budget and included all the features they wanted! The 2 hour consultation they had paid off as they weren’t left guessing which plants to select, and where the plants should be planted. The AFTER- After landscaping, what an Impact to the home! Contribution Post By: Jodie Munshaw is a Certified Landscape Designer providing her clients with custom landscape designs and garden consultation services that meet both their needs and their budgets. With over 15 years in the green industry, Jodie has worked on projects of many sizes and styles and works from Cottage Country through the GTA. Jodie shares her love of the industry by volunteering with the provincial landscape organization and teaching at Humber College. Thanks for giving us the chance to read this blog it’s nice blog and good to see. I”m glad you enjoy it Raj! Just found your blog through Save Big Live Better on Facebook. I was excited to read the landscaping post, we just moved into a recently built house without any landscaping. I’m looking forward to reading more on this topic. Any idea of what it would cost to have a landscaping consultation? Thanx everyone for your positive comments! I am not sure how I didn’t find THIS comments section earlier so I do apologize! Gardening is a place where so many people “throw away money” that they don’t need to. By properly planning your garden you can get plants in the RIGHT place so you get color at the RIGHT times and get the RIGHT look to suit YOUR style and BUDGET. There are some great books out there, I’ll point you in the direction of some of my favorites in a future post as well as websites and apps. In the meantime stay tuned for part two! I never truly thought about budgeting for gardening because I didn’t think it costed that much…but it all adds up! thanks for saving many people from wasting money by not really knowing! 🙂 I’ll be sure to come up with a “needs” and “wants” list this year, for my yard! Great post! Lots of things to think about before you even get started. I look forward to more from this series! Thanks for your comment Melissa. I look forward to what Jodie has next for CBB fans! I am pretty sure you can get cuttings off of other plants. I would go around your neighborhood and as your neighbors for some from the plants you like. Thank you for sharing your tips. I like to create my backyard into a garden of tranquillity with flowers as most years I cannot afford a vacation away and sharing this space with my family when we swim or bbq is the best vacation of all. I have started doing container gardening for veggies. I am going to expand what I plant this year. Last year was tomatoes and peppers. I am going to try cucumbers this year. Look forward to the next post. great article! Look forward to reading more:) It is definitely a great idea to talk to a professional first. I usually get some plants from my mother, which cuts down on the costs, because buying flowers/trees can get very expensive. BTW very great job on your before & after pics. Great advice!!! I have a small back yard at the bottom of a hill. We found raised beds work great here. I have perennials in them and from the looks of things I’ll be dividing the daylilys again, and digging up the shastas to re-plant. I’ll empty out the composters for the gardens when I do the digging. I still would like a couple of pink daylilys so I’ll keep looking there, then figure out where I can put the dears. Last year I dug out a stretch beside the driveway that had some rather aggressive weeds and perennials in there. There are a number that came back this year, so I know I’ll be digging them up again…. My plan is to put in annuals along there for the next few years until I can get rid of those nasty beasties. I’m thinking pink cosmos, pink cleome and some white nicotaina. Other than that my annuals go in hanging pots around the porch and the two big blue pots I got 3 years ago. I think if we ever moved I’d be digging up most of the garden to take with us…. the new people could then plant what ever they want and I have my favorites with me to save money at the new address…. I also found out the hard way that a lot of the people who work in garden centers (around here anyway) aren’t always knowledgable about plants/flowers! I have an area that is very shady and wet. I found a few flowers that they said would be ok in the shade and they didn’t do well…I’ve been getting to know Jodie through a coupon group and some chats and hope she’ll be able to offer me some “online” advice in the future (a bit far for her to come here) for this problem garden area! I’ve been guilty of just buying the plants I like and planting them in the wrong areas of my yard. I think at the new house we’re going to hire someone first and plant second! I know how tempting it is going into a gardening centre and seeing plants upon pretty plants with gorgeous blooms and wanting to buy them. Actually the wife is just like that. I have to control her feminine urges to want to buy every one she goes all fluttery over lol.. it’s best to hire a pro to give you all the advice, then plant.. that’s the best route.. do it once, save the money. Thanks for reading. Happy Easter Elizabeth. I used do my landscaping each year by going out and pulling weeds and planting annuals, then consider my gardening done. I have started buying perennials so that I don’t have to buy flowers each year and swapping plants with friends is a good way to keep the cost of new plants down. Yes the cost of replacing flowers every year can skyrocket not to mention bust the budget. We are aiming for shrubs and greenery, grasses in the front and perennials in our back yard. We also swap flowers with our mates. Good Luck Tania and thanks for reading. Great advise about talking with a professional, especially for someone with little gardening knowledge. They certainly could help suggest which plants would work best where and help decide what to prioritize when working with a budget. Thanks for the post and looking forward to reading the next one. That’s just it Joanna, it’s knowing what plants to pick and not wasting money twice or even more. I’m glad you enjoyed Jodie’s first post as much as I did. I’ll need to learn everything I can. Happy Easter Joanna! I’m glad you liked Part 1 in the Series, I knew you would. Budgeting is so important when investing in your property. I really want to stress making a plan and list of wants and needs and then budgeting the money. Like I mentioned before if its worth it to you, spend the money to get a pro in for their advice. 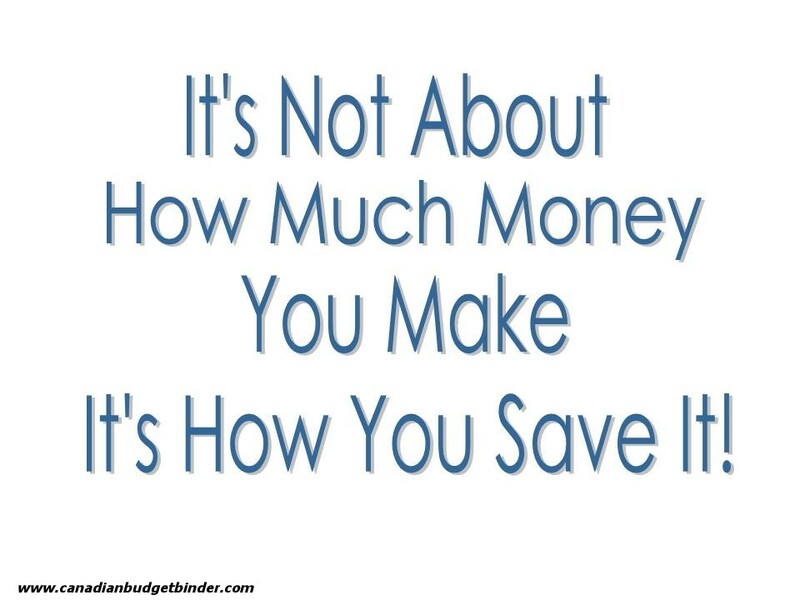 It’s best to spend your money once~ rather than twice or too much for that matter. Cheers Sandy~ Hope your husband enjoys the article! I think before I go about making a budget, I need to pick up a “Gardening For Idiots”, I think it would be easier to create my “need” list of items with a handy list somewhere near by 🙂 That is a good idea to get someone who knows what they are doing to come look,tell you what you are working with.